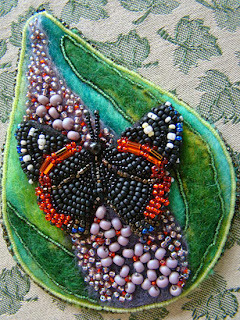 April's butterfly cuff definitely inspired this month's leaf. We have a buddleia bush by the back door which attracts butterflies throughout the summer. 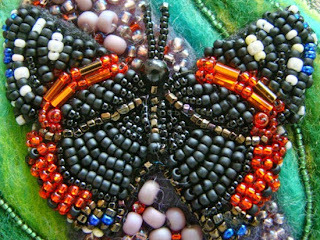 I chose a Red Admiral to try and bead. A variety of different sized beads were used to capture the buddleia flower in the background. I can't believe that I only have four more leaves to go. 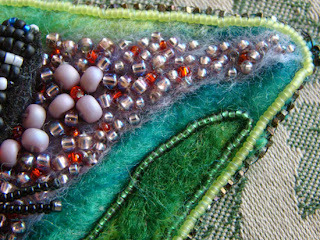 I think that was a really smart choice to use the different size beads...it gives your piece a real sense of depth! 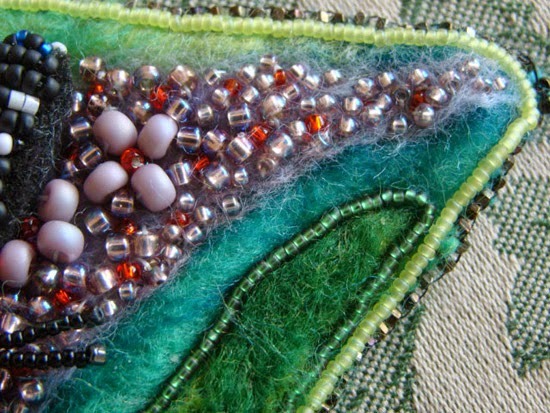 I am absolutely enchanted with your piece! Thank you for your lovely comments. It is wonderful to know that someone is enjoying seeing my leaves. Your butterfly is just beautiful!!! Really looking forward to seeing how you put them all together!!! I love your nice butterfly, she is so nice and colourful! 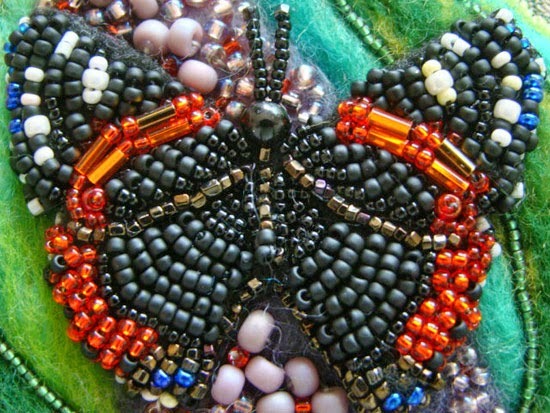 Your red admiral is awesome, one of the best beaded butterflies I've ever seen... You were really successful at capturing the look and feel of the admiral's wings. This is one of my favorite of your leaves so far. Bravo!